First lord of Lippe-Brake. House of Lippe-Detmold. The beginnings of the Thirty Years' War in central Europe sees a series of destructive conflicts take place. Originally this is as a result of the Reformation and its Papal response, the Counter Reformation, but later it also serves as a continuation of the Bourbon-Habsburg struggle for supremacy. Count Simon VIII of Lippe-Detmold does his best to keep Lippe neutral so that it might be spared as much as possible, but it suffers nevertheless when imperial troops are billeted within its borders. Lippe-Schwalenberg is reunited with Lippe-Detmold, presumably upon the untimely death of Count Simon's younger brother, Hermann. Four years later, in 1624, Count Simon VII passes a large dairy farm onto the bailiff of Schwalenberg (one that had been created out of several failing farms by Simon VI in the early years of the century). 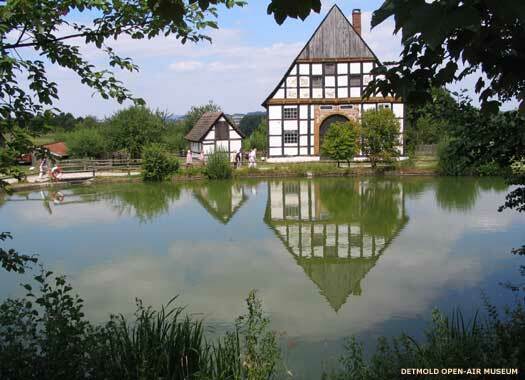 This is later sold to Simon's widow, Maria Magdalena, and her youngest son, Jobst Hermann, builds the manor of Biesterfeld there, creating the subsidiary line of Lippe-Sternberg-Schwalenberg. When Count Philip I of Lippe-Alverdissen dies, his territory of Schaumberg-Lippe (the former, enhanced, Lippe-Alverdissen) is divided between his sons. Schaumberg-Lippe goes to Friedrich Christian, while the title of Lippe-Alverdissen is revived for the younger son, Philipp Ernst who rebrands it Schaumburg-Lippe-Alverdissen. Casimir's eldest son, Rudolph, takes the reigns from his father to begin governing Lippe-Brake. It is unclear whether this signifies a full abdication or simply a gradual transfer of daily duties, as lists place Casimir in overall command until his death in 1700. Rudolph dies without producing a male heir. His only offspring had been a daughter, Charlotte Amalie, who had died in 1703. He also has an illegitimate daughter in the form of Sophie Müllinghausen, but neither of these would have been qualified to succeed. Instead, his uncle, Louis Ferdinand, is next in line as the last member of the Lippe-Brake branch of the family. Son of Frederick, brother of Casimir. Upon the death of the childless Louis Ferdinand during a trip to Hanover and Wolfenbüttel, the territory of Lippe-Brake is reunited with that of Lippe-Detmold under Count Frederick Adolphus.